Person 5 Dancing in Starlight (P5D) and Person 3 Dancing in Moonlight (P3D), as part of the call Dancing Person: Endless Night Collection, will arrive in a few days to the West after its debut in the middle of the year in Japanese territory. 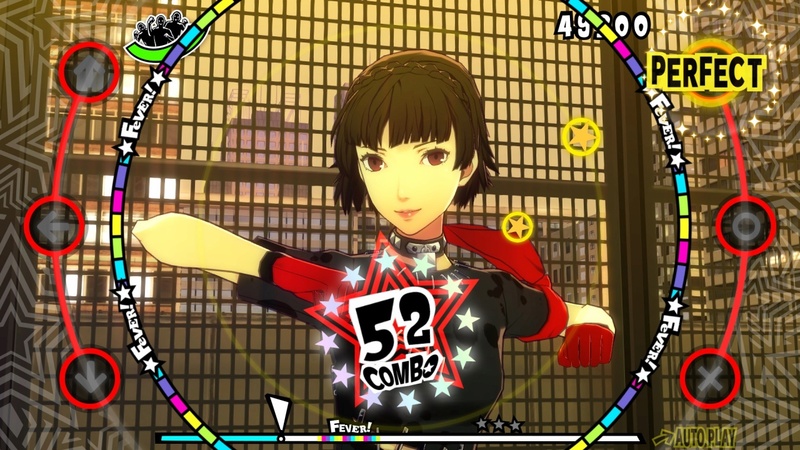 Atlus repeats the successful formula used – although with some important difference – in Person 4 Dancing All Night (P4D). Similar to the latter, both titles take place after the events in the main title, in this case with the members of the well-known band Phantom Thieves and somewhat less, SEES (Specialized Extracurricular Execution Squad), in a double ration of music and dance. This decision is not surprising and is that unlike Persona 4 Arena and Persona 4: The Ultimax Ultra Suplex Hold, the other two titles where Team Investigantion was “recycled” and that practically went unnoticed by the majority of the public, Persona 4 Dancing All Night reaped a great reception. Many of us who play the musical title Persona 4 agree that perhaps part of that success could be due to other factors to a cast of characters with personality, a soundtrack that fit perfectly in a game of this genre, the use of modifiers providing replayability … but, above all, a precise and well balanced formula that alternated typical phases of a visual novel with a gameplay in which Hatsune Miku and Sega are the main representatives. It is also true that some passages of the mysterious story around the Love Meet Bonds Festival and even the appearance of some characters are more than debatable, but in general it was a fairly complete product, more or less cohesive and that despite being a mainly musical title could be felt as one more within the series Person. However, and to our regret, both in Person 5 Dancing in Starlight and in Person 3 Dancing in Moonlight this does not happen. The narrative side has almost completely disappeared to make way for the musical sections and, to a lesser extent, for the fan service (we will see what the DLCs offer us). Without Story Mode, the two new titles of Atlus come to the music scene practically with the same characteristics as its predecessor. For those who are not very familiar with this type of games and since there is an extensive tutorial, the notes (stars) move to the rhythm of the music in six different directions and correspond to the positions of the buttons (triangle , circle, X) and the crosshead of our Dualshock 4. As in an aiming game, we’ll have to hit the note at the exact moment to get the highest score (Perfect) Even if we do not target, if we play the note, we will score, although with a lower value (Great and Good). However, only the two major scores (Perfect and Great) are those that allow us to increase our combo and, therefore, multiply the points of our scoreboard. From this concept, everything starts to get complicated depending on the difficulty we have selected (Easy, Normal, Difficult and an unlockable call All Night only suitable for true virtuosos) and the own difficulty of the song In addition to the simple notes and like in Persona 4 Dance All Night, we will have several types like the notes in unison (linked and that we must press at the same time) and the continuous notes (linked and in those that we must leave pressed the button). Also the famous scratches come back, represented with big circles to give that touch of disyóquey and professional. Simple scratches are considered as simple notes, but if we lose them, they do not penalize our combo. The Fever scratches, when completing three of them we will generate an event in which we receive a choreography companion and Good scores do not penalize the combo during that short period of time the event lasts. As the only novelty in P5D and P3D, the so-called double notes have been included, which are two notes that go so fast that there is a double press of the button extremely quickly. Learning these basic ideas we will be ready to jump to the dance floor and enjoy more than twenty songs, remixes and even direct songs from the most popular Persona 5 and Persona 3 (perfectly suited to the personality of each character). Although it is true that the catalog falls short too soon, those of Atlus and P-Studio re-hit including the modifiers. With a total also beyond twenty we can change the gameplay to our liking, that is, we can increase or decrease the speed of the notes, take random routes, attenuate their appearance, that the scratches are scored automatically … examples that we have already put you can distinguish two types of modifiers, the calls of help or against those of challenge. The former usually make life easier for us and therefore penalize the final score while the latter increase the degree of difficulty, but we will see a reward in the final score. So, if we take into account the four difficulties and the large number of modifiers that we can apply to each song, both the duration of both games and their replayability increases considerably. If the number of combinations to modify each song is remarkable, you can already imagine the amount of outfits and accessories that await you to customize the appearance of each of the characters (we will have a clothing tester in the Collection section). In addition, the logical thing would be to think that packages or DLC will arrive with much more content of this type. And, although it is not as obvious and intrusive as in other titles, P5D and P3D like P4D also has its ration of fan service. Needless to say that both the songs and modifiers like the outfits and accessories are unlocked as we go over certain milestones, some of these, intimately related to social activities. And in the absence of a narrative thread like the present in Persona 4 Dance All Night, both Person 5 Dancing in Starlight and Person 3 Dancing in Moonlight pulls the social section to give some meaning and context to the game itself. Each character has up to six social activities that are unblocking and that in addition to giving us a modifier or accessory, gives us some information about what is happening, why they should dance or even curiosities of the lives of the characters themselves. It even includes a mini-game of exploration in which we must find an object to be rewarded. Abandoning the gameplay to jump to another chapter as the audiovisual, first, we would like to comment that neither P5D nor P3D arrive with voices in Spanish (only Japanese and English) but with subtitles, which will not have any problem in following the conversations in the social section. But nevertheless, the tone of the subtitles in Spanish did not seem right. 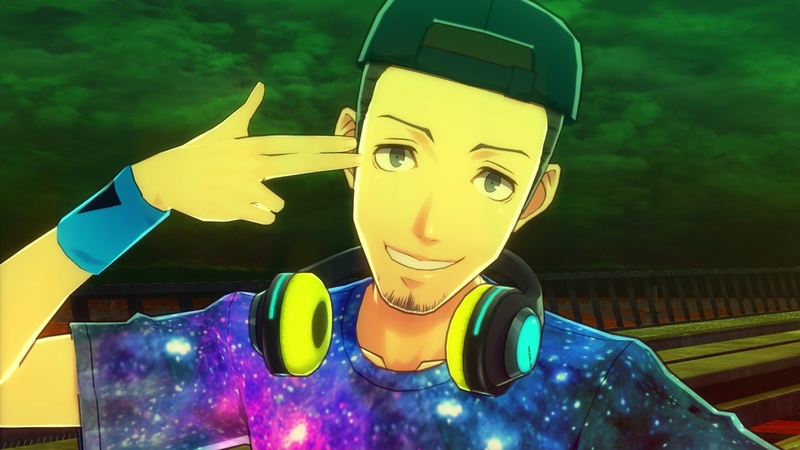 It is true that the protagonists are young and some of them both in Person 5 and in Person 3, somewhat hooligans (Ryuji Sakamoto or Junpei Lori are two clear examples), but Expressions that are meat of meme like the manida “let’s calm down” to mention some, we squeak quite. As for the scenarios, both titles maintain the style and recover locations from the main title so that those who have already been in charge of the Phantom Thieves or the SEES will be quite familiar. In addition, and how could it be otherwise, everything revolves around the now famous Club Velvet. The musical section that is precisely the one that has more weight in both titles maintains the same level of excellence as the soundtracks of Persona 5 and Persona 3. Both P5D and P3D have enjoyed again most of the most popular songs of each game. As if that were not enough, a large number of remixes of some original songs are included to make them “more playable”. Artists and DJs well known in the Japanese and international scene such as Jazztronic, Taku Takahashi or Yuyoyuppe have intervened in that creation. 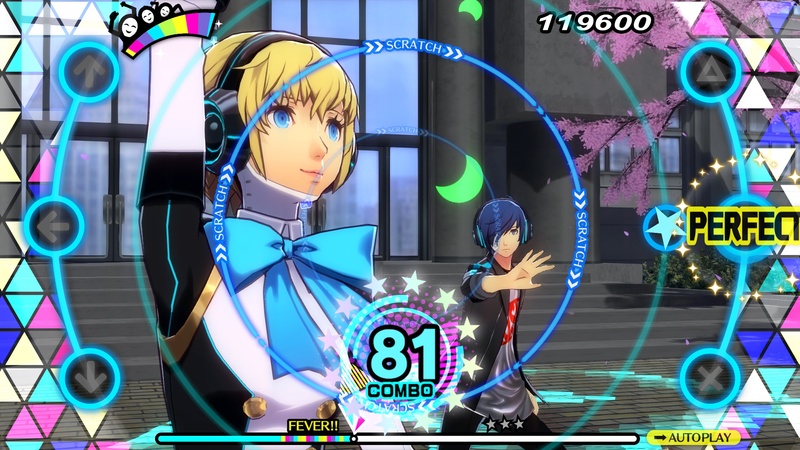 In fact, it is precisely that electronic tone that makes Persona 3 Dancing in Moonlight much more attractive to this type of genre than its older brother. By the way, if you are crazy about the dance, in the Choreography Mode you will be able to learn the steps and put them to the test on Saturday night on the disc. By against if you are more than dancing in privacy you can always take advantage of Compatibility with PlayStation VR.